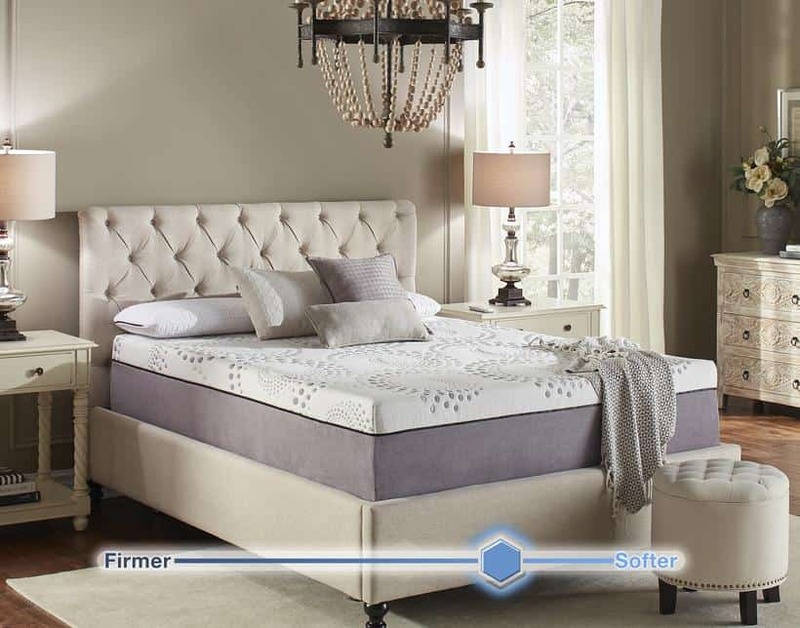 Novaform is a mattress brand owned by the Innocor Comfort memory foam manufacturer. 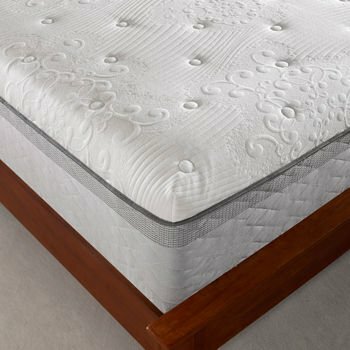 If you frequent Costco you may have seen the Novaform mattress before. While buying a mattress from a warehouse club store like Costco seems like a bad idea, you’ll be plenty surprised at how nicely made the Comfort Grande mattress is. If you’ve had bad experiences with warehouse club or big-box store mattresses in the past, don’t let that change your mind about this model. You can easily purchase a brand new Comfort Grande mattress for less than vast majority of what furniture retailers offer. 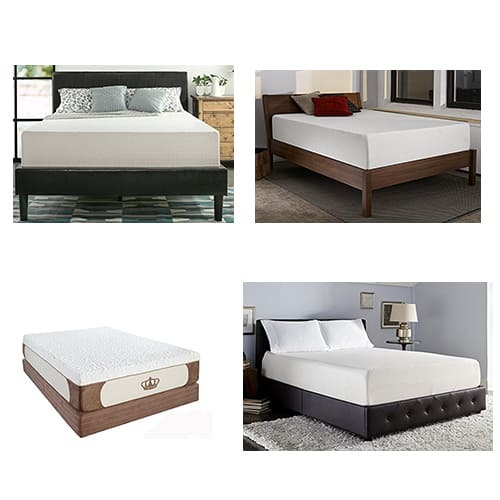 Not to mention it offers a superior choice for those on a very strict budget and don’t want to resort to gentle used mattresses. The Comfort Grande has hundreds of positive reviews backing it as a high-quality mattress. Before getting into the pros and cons of this mattress, here are the basics you should know about buying options, design, and overall construction. Check out the latest price on a king size here! The Comfort Grande can be found primarily at Costco, though you may also find it online from websites like Overstock. This mattress is sold in a rolled up, compressed bag within a box, which makes bringing your new bed home extremely easy. Simply remove the mattress from the box, unroll and allow it to return to its full size. While this is different than buying a normal mattress, it’s being a popular idea. Since it eliminates the need for an expensive delivery and labor of having an unwieldy mattress moved into your bedroom, you end up saving time and frustration. There are a lot of reasons that the Comfort Grande is such a popular bargain mattress. Here are four major reasons why you should consider buying this bed. 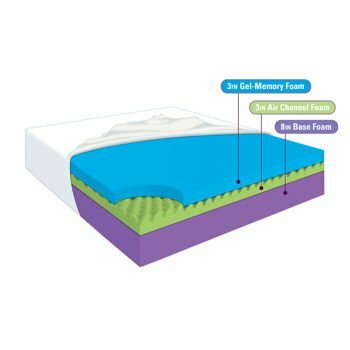 Many people buy memory foam mattresses because they are so soft and plush, but there are also firm mattresses that offer a ton of support. The Comfort Grande is a perfect example of how much stability you can get from a foam mattress. Typically people with back pain or poor circulation need a firmer mattress. If you fall into this category you should give this model a try. The firmness level is on point for what many doctors recommend, yet far less expensive than many firm orthopedic mattresses. Back sleepers tend to have an easier time shopping for mattresses, and the Comfort Grande is particularly well-suited for this sleeping position. The firmness level maintains a fairly flat sleeping surface but has enough gives that it conforms to the body shape to support a natural spine alignment. This mattress will also feel comfortable for stomach sleepers when combined with a comfortable pillow. Side sleepers will probably find this model to be too firm, so if you fall into that category you should probably skip this mattress. This model does a good job of keeping hot sleepers cooler than what most memory foam mattresses can do. The middle support layer of this mattress is 3″ of Air Channel foam, which resembles an egg-crate foam. This creates small air pockets which help disperse heat, without affecting the cradling effect of it. On top of this layer is another 3″ of foam, but a gel memory foam. This has an additional cooling effect, despite being a flat foam. Finally, the whole mattress is covered in a soft fabric that wicks body heat and moisture. The Comfort Grande Mattress is very inexpensive, almost half the price of normal mattresses. This is even more outstanding because this is a memory foam mattress versus normal coil construction. The memory foam used in this mattress isn’t cheaply made either. 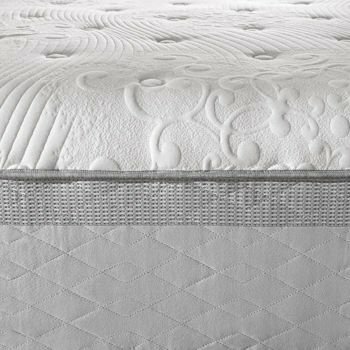 All of the foam used in this mattress is made by Innocor, which is manufactured completely in the US. Those that worry about suspicious foam sources won’t need to be concerned with this bed. If you’ve had bad experiences with foam beds having a chemical odor you’ll also be happy to know that the Comfort Grande has an extremely low odor compared to most, and this odor dissipates quickly. The Comfort Grande has a remarkably large number of happy customers recommending it, something rare with budget mattresses. Despite all the positive reviews, there is one downside to keep in mind. Novaform has this mattress listed as a medium-firm, but a fairly large number of customers have found that it feels much firmer than they expected. This can be a great benefit for those that are shopping for a super firm mattress, but an issue for those that only want a medium firmness level for their bed. The firmness can also be an issue for couples in which one partner prefers side sleeping or finds a very firm mattress uncomfortable. If you would have an issue with too firm of a mattress, you might not find the Comfort Grande to be the right choice. Overtime the Comfort Grande can hold onto the body impression left by sleeping consistently in the same position. This is a common issue with firm memory foam mattresses because the density needed to achieve the comfort level is less apt to return to its normal loft. A slight impression being left might not be too much of a problem for someone that always sleeps in the same position, but can be a problem for someone that tends to move around a lot. Even though Novaform claims you don’t have to flip this mattress, many customers still rotate and flip this mattress as it can prolong the potential of an impression forming. Overall the Comfort Grandeis a great mattress. It over-delivers in terms of quality and comfort within the under $800 price range. 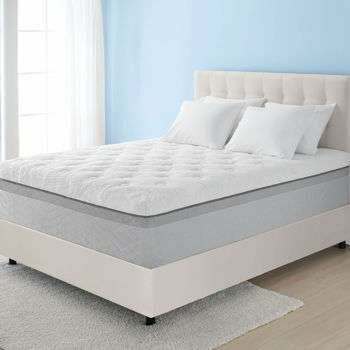 Consumers that have back issues that require a firm mattress will find this model to be a good fit. This mattress is built to last and you’d be hardpressed to find a 20-year warranty from most manufacturers. If you want a no-fuss bed that is inexpensive, available right in store or can be purchased online and doesn’t require a costly deliver and labor fee, you should consider the Comfort Grande. 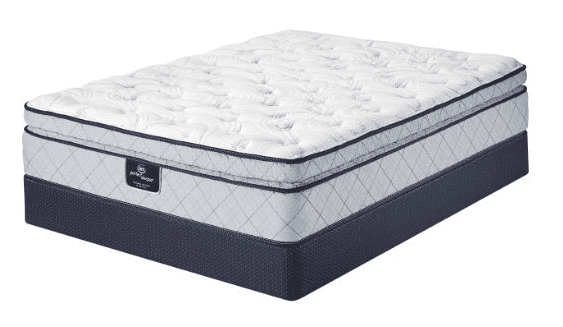 Serta Perfect Sleeper Mattress Review – Really a Perfect Sleep?